Comments: This is a premium quality Live Plant. Origin: Originally this plant species was discovered Asia. 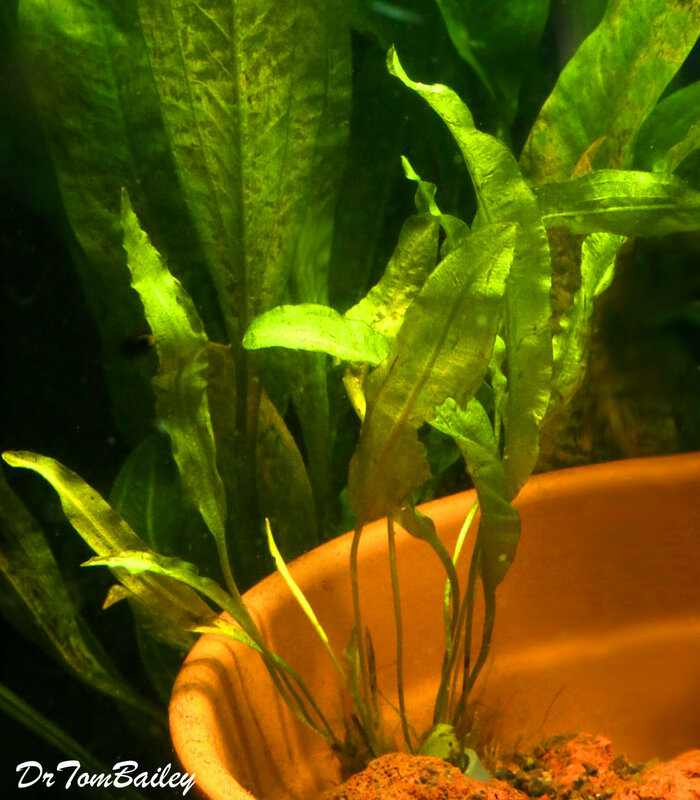 But now this plant is cultivated on a famous aquarium plant farm, and at this time it's found growing in aquariums all over the world. Temperature: This plant like temperatures that range from 70 to 80+ degrees F.
Names: The scientific name for this plant is Aponogeton crispus. Variations: There are lots and lots of variations of this plant, which is probably due to the fact that it has been imported from a very wide area in Asia. It's appearance also seems to vary with the intensity of the aquarium lighting.